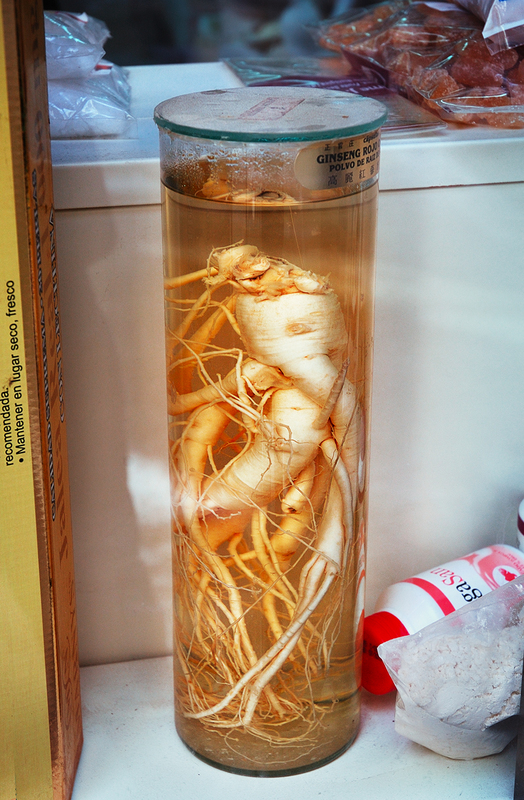 Ginseng roots have this peculiar shape which might look kind of bizarre inside a pharmacy container. They remind me of an alien foetus in formaldehyde about to move or some abyssal creature in a natural science museum. But as ugly and uncanny as it may seem, ginseng, derived from the Chinese term rénshēn or "man root", is almost a miraculous plant due to its many virtues when it comes to healing and keeping a healthy balance in our body. I am not familiar with traditional medicine but the age factor is changing my approach towards conventional methods lately. According to what I read, this is good to treat depression, diabetes, cholesterol problems, or even our good old German friend Alzheimer, if you know what I mean. And then there's the eternal concern about impotence which this human-like root seems to handle quite efficiently. Of course, you should consult this with an expert cause there are side effects too. I found this beautiful specimen at a small store in El Born area. According to their description they sell: grains, flour, dried fruit and nuts, herbs, spices, soy, soy milk, pet food, rice, pasta and much more. Here is the location on a map. Open Mon-Fri 09:15-13.00/16.15-19.30, Sat 09:15-13.30. Pg Picasso 34, Ciutat Vella, 08003, Barcelona. I have walked through that area. Very nice. And I like the map program. What a wonderful shot; I can see every little detail. I am 51, and also trying to use natural remedies whenever possible. The drugs pushed by the pharmaceutical companies are really pretty scary. When I visited your fair city three years ago, I was impressed by the pharmacists' knowledge of homeopathic medicine. That seems to be the case in other European cities as well. I wish that were so here in the U.S. Hopefully, we'll catch on at some point. And by the way I LOVED Barcelona; I didn't want to leave! Interesting what you can find in stores! I once wrote an article about ginseng, and it really is quite diverse in its healing properties.